On the bottom the diver was engaged on whatever task he had before him. ... Fish, usually so elusive, are caught, surprisingly, unaware. Cool logical explanations dissolved many curiosities about the natural world in the late twentieth century, but the Reef is something of an enduring mystery. The underwater world remains elusive to everyday human experiences. The earliest naturalists depended on simultaneous good fortunes in tides, weather and wind to glimpse living corals and fishes beneath the surface. This view was often unattainable. The liveliness of the coral reefs could not be contained, and many squirming creatures brought to the surface died in the name of scientific curiosity. 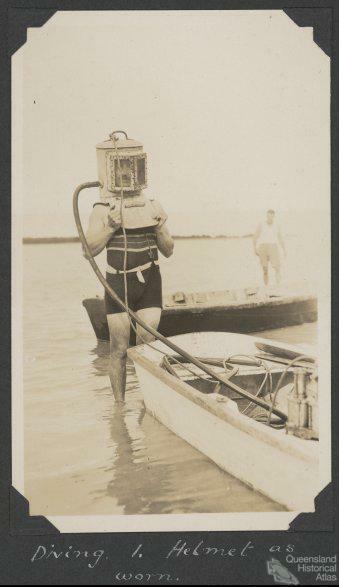 The desire to gain greater access to the underwater spurred scientific invention. Scientists improvised equipment and trialled new technologies in an effort to better access and observe living marine life. Simple equipment like the water telescope and black box evolved into glass-bottomed boats and underwater observatories. The most daring individuals experimented with eye goggles, diving helmets and scuba equipment. Photographers explored the possibilities of underwater cameras and colour emulsion. 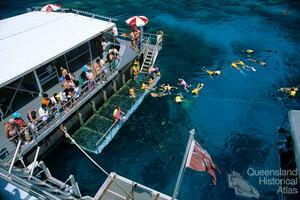 In this way the history of new technologies parallels the history of Great Barrier Reef science. In 1917 some 550 Torres Strait Islanders worked on pearling boats, about half of them on community-owned ‘company boats’, typically employed as swimming divers. The community lugger scheme had been started by philanthropic effort in 1897 to free indigenous people from dependence on large and exploitative companies. 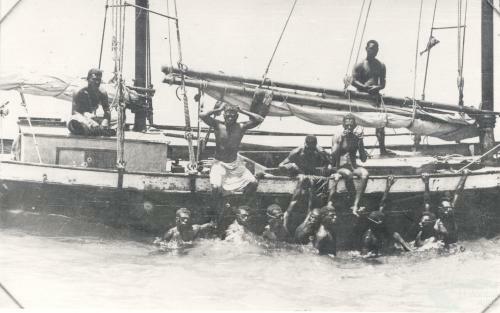 For many years it was jointly conducted by the Papuan Industries Limited and the Queensland Government’s Department of Native Affairs, and became very popular among Torres Strait Islanders, who used the luggers which they were able to purchase through this scheme for transport, visiting, and various kinds of subsistence fishing. It was for this very reason that the Department considered it an economic failure and continued to tighten its grip over the scheme, until it could no longer be said that the communities were owning the luggers. This led to a ‘lugger strike’ against the paternalism of the Department in 1936, and to separate legislation for Torres Strait in 1939 (separate from mainland Aborigines) with some limited self-government. 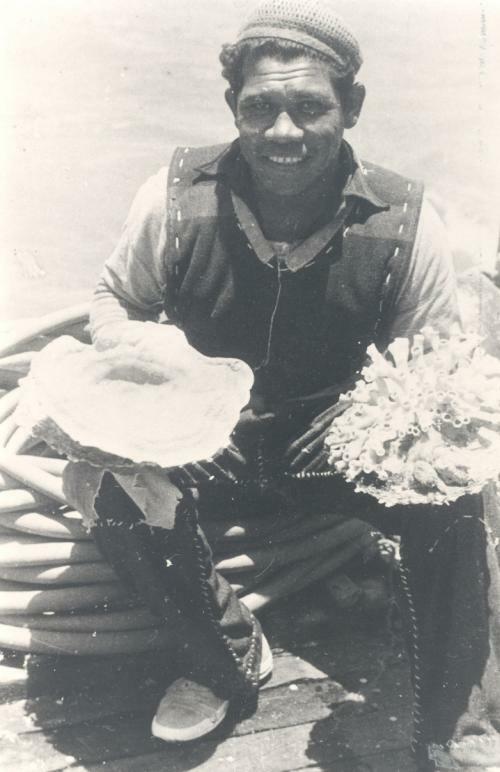 Pearling became the largest industry in far north Queensland in the 1890s and had a massive impact on coastal Aboriginal and Torres Strait Islander peoples.